According to researchers from Carnegie Science, the North Atlantic Ocean has the ideal conditions for development of wind farms capable of providing enough power to service the whole world. The demand for global energy has a projected increase at a compound annual growth rate of 21% per year until 2021. 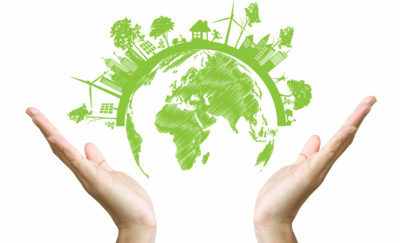 At the same time, demand for energy is increasing; developed countries are pushing for the reduction and eventual elimination of the use of fossil fuels. In this worldwide quest for renewable energy sources, offshore wind energy is experiencing an exponential rise in interest and development. Offshore wind energy holds several advantages over onshore wind farms, including abundant siting space and higher, consistent wind resources. However, offshore wind infrastructure is more expensive than that of land-based wind plants. On top of that, there are additional costs incurred by the submarine cables needed to get the power to land. Despite the higher costs, both the European Union (EU) and China are making significant investments in offshore wind power plants. 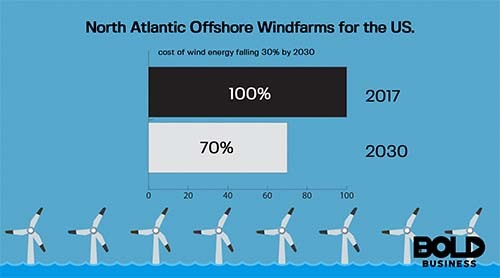 The United States (US) has lagged in development of offshore wind power, primarily due to the availability of lower cost generating sources such as natural gas. Electricity prices in most European countries are very steep—residential electricity prices are triple the prices we see in the US. According to the Energy Information Administration (EIA), the generating cost of offshore wind turbines anticipated to come online in 2022 will be 15.7 cents per kilowatt-hour (kWh) in 2016 dollars. This cost per kWh is almost three times higher than that of a natural gas plant and more than twice as much as onshore wind. Things are beginning to change in the US as more states are committed to providing clean energy in their portfolios. One player in particular is taking bold action to dominate the field – Deepwater Wind promotes itself as America’s leading offshore wind developer. The company’s “path-breaking” 30 MW Block Island Wind Farm located three miles off the coast of Rhode Island is the first in the nation. Headquartered in Providence, RI, Deepwater Wind is actively planning offshore wind projects to serve multiple East Coast markets including New York, Massachusetts, Rhode Island, Maryland, and New Jersey. 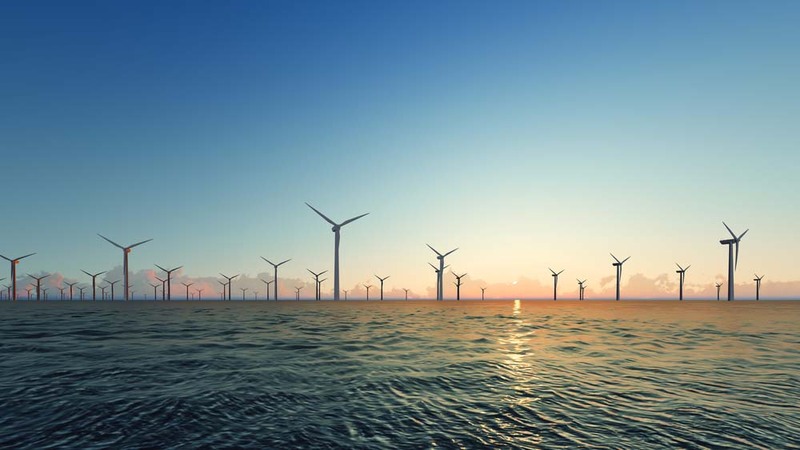 In a move to placate Maryland and other East Coast residents, Deepwater Wind’s project plans now locate the facilities 15 or more miles offshore. As more projects come online across the globe, developers are bringing the costs down. A study published in Nature Energy analyzed the opinions of 163 wind power experts from around the world. Based on advances in turbine technology, these experts expect the cost of wind energy to fall 24 to 30 percent by 2030. Higher wind speeds provide the main advantage to developing offshore wind farms. Theoretically, those speeds mean five times more energy blows over water than over land. Using computer models, the Carnegie Science team used compared the output of existing land-based wind farms in Kansas to huge, theoretical facilities in the open ocean. Results indicated ocean wind farm turbines could generate three times as much electricity as land-based farms. Is Deepwater Wind offering the silver bullet – the clean energy technology capable of supplanting fossil fuels? Theoretically, the Carnegie Science study says yes. The study found that North Atlantic wind productivity would vary by the season. In the summer, an immense, theoretical offshore wind farm could provide power to the entire United States or Europe, but in winter, the team says North Atlantic wind farms could power the whole world.